This monument of unfinished granite represents an A shaped Revolution era tent. A larger bronze tablet is attached to the front. A smaller bronze plaque can be found on the back of the memorial. Front: 1779-81. 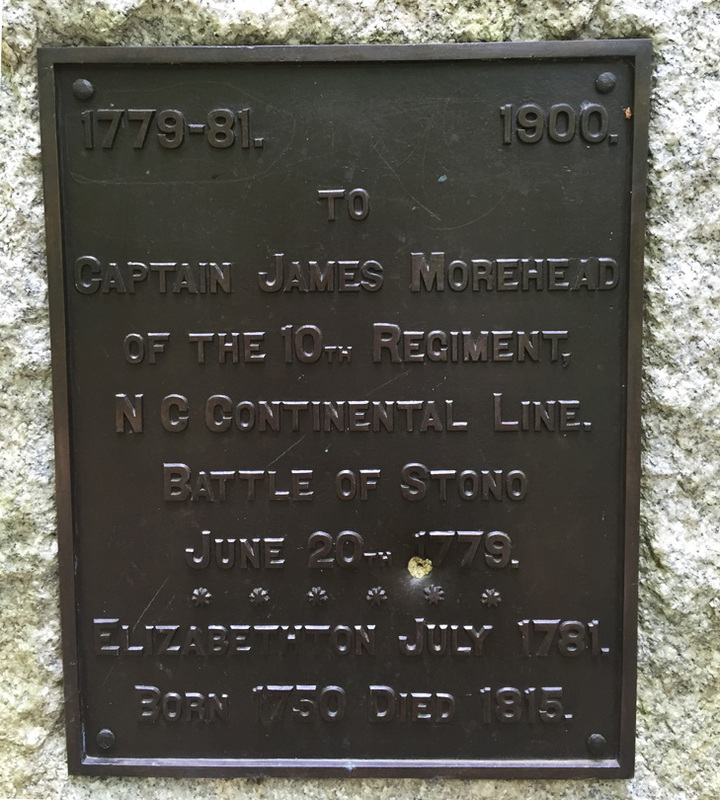 1900 / TO / CAPTAIN JAMES MOREHEAD / OF THE 10th REGIMENT, / N C CONTINENTAL LINE. / BATTLE OF STONO / JUNE 20TH 1779. / ELIZABETHTON JULY 1781. / BORN 1750 DIED 1815. Back: ERECTED BY / COL. JAMES T. AND JOSEPH / M. MOREHEAD AND ROBERT / PERCY GRAY. 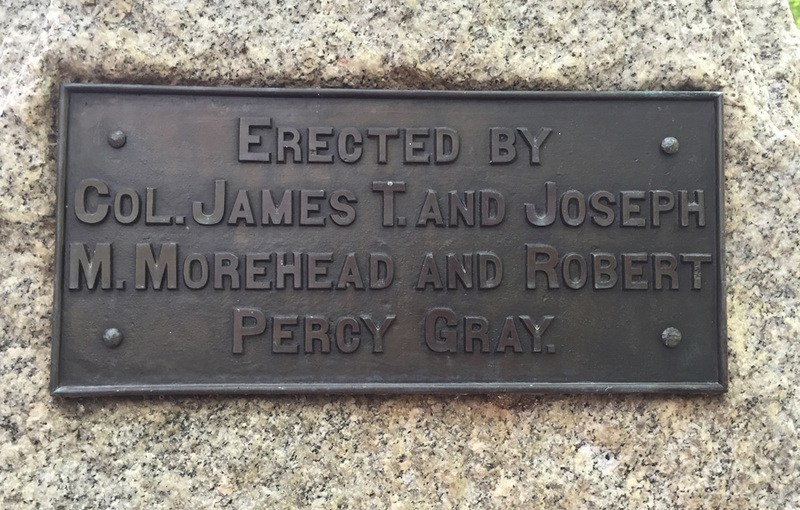 James Turner, Joseph Morehead, Robert Percy Gray. The dedication was held at the annual July 4th celebration at the Guilford Courthouse battleground that also saw the unveiling the Colonial Column monument (#25). Governor James B. Aycock gave the days principal oration and spoke on the Colonial history of North Carolina. During the speech he argued that the first blood shed during the Revolution had been at the Battle of Alamance where the “Regulators” stood “against foreign oppression…” Governor Aycock was followed by R.F. Beasley, editor of the Monroe Journal, who made a “scholarly” presentation on the Battle of Elizabethtown fought in 1781. 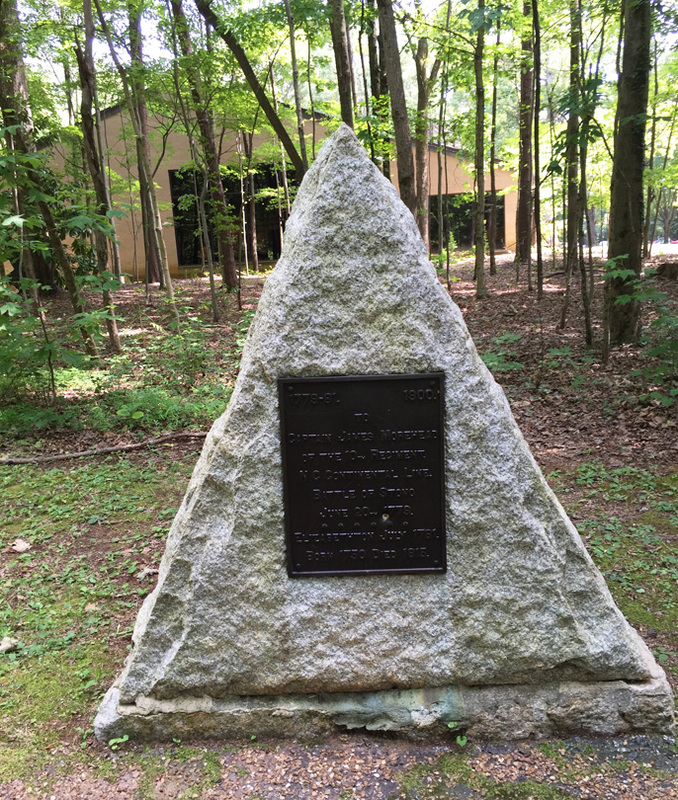 The monument is located within Guilford Courthouse National Military Park. It faces north. The monument stands in a row of memorials that include No North-No South, Kerrenhappuch Turner, and Captain Gillis monuments.